Discover Waikiki’s secret locations and deserted beaches on a 2-hour guided tour. Learn interesting facts and tidbits about Waikiki as you check out popular eateries and inexpensive shopping locales and secret beaches close to Waikiki on this excursion. See the Hawaii Five-0 Studios and take in breathtaking ocean views from Diamond Head Beach Lookout. This small-group tour is the perfect way to experience Oahu like a local. 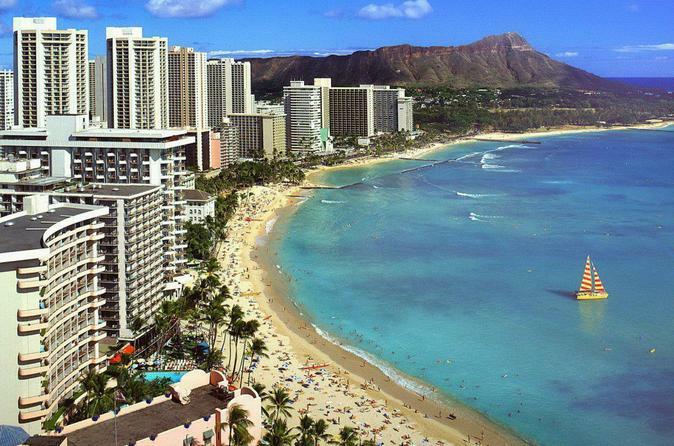 Get a great overview of Waikiki and explore the neighborhoods. Pictures & Videos of your tour available for purchase upon request. Experience Oahu like a local on a 2-hour tour that takes in some of greater Waikiki’s top locations. Discover where locals go, which restaurants they prefer, and discover non-crowded beaches close to Waikiki. Get great insider information on the best local stores for bargain-hunting and where to find original Hawaiian souvenirs. Learn about Hawaiian culture and history from your expert guide, as well as where to watch Friday night fireworks (Ala Moana Beach) and which club counts a living legend as one of its members (Anuenue Canoe Club). If you like a great souvenir, the guide will take pics and put together clips of the tour, creating the perfect souvenir video.